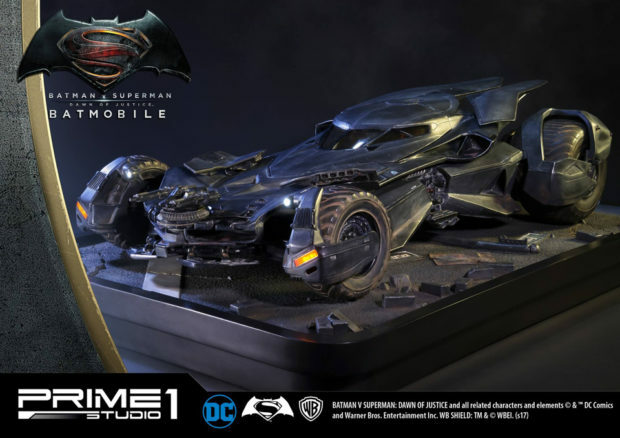 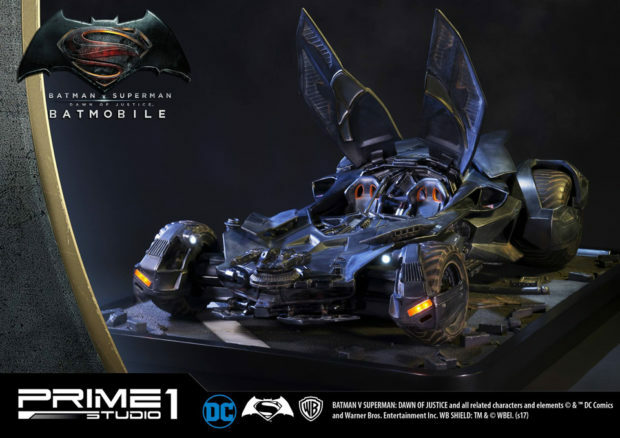 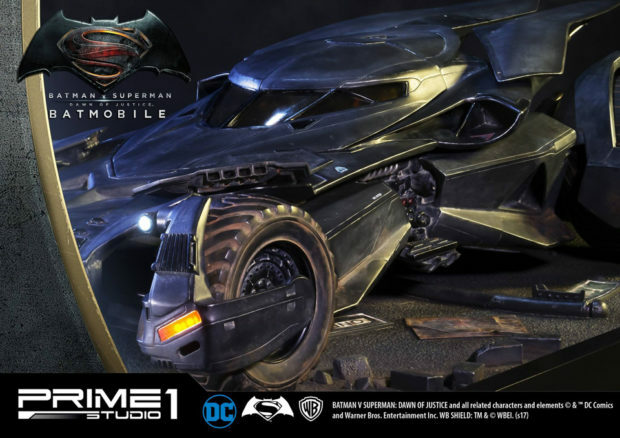 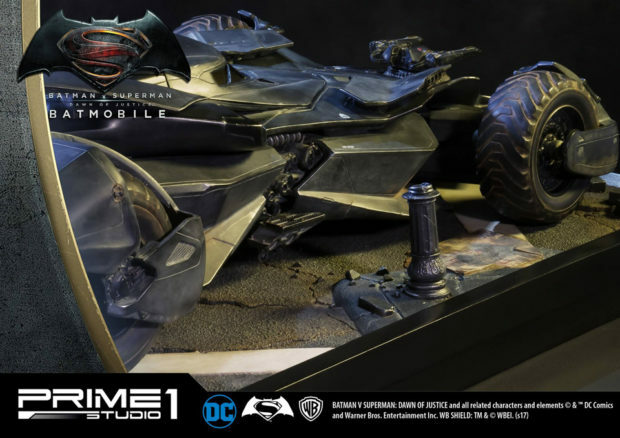 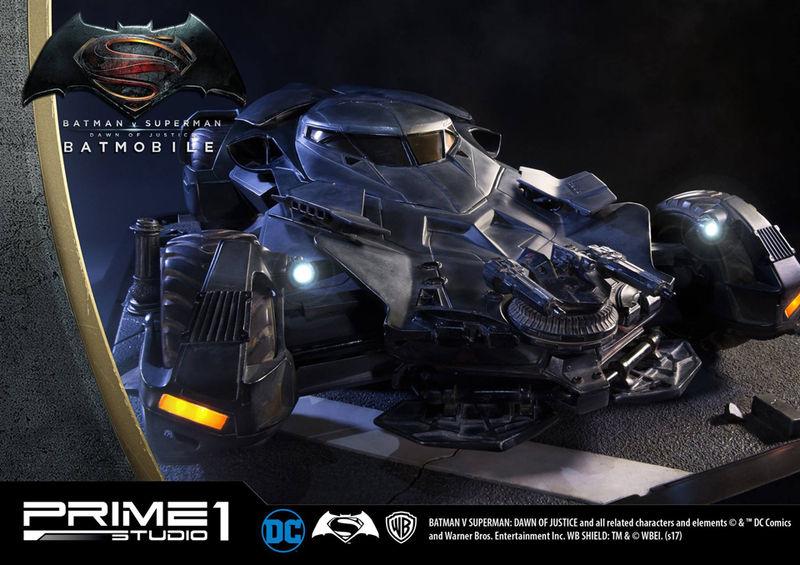 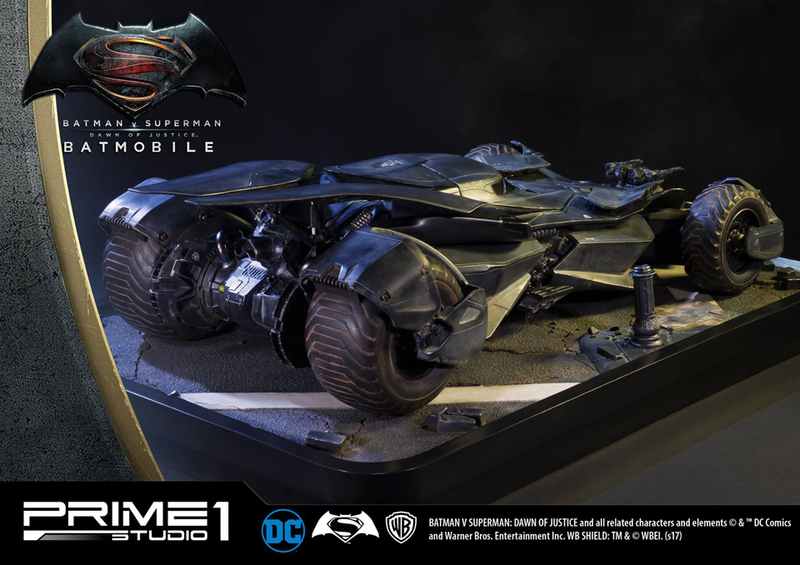 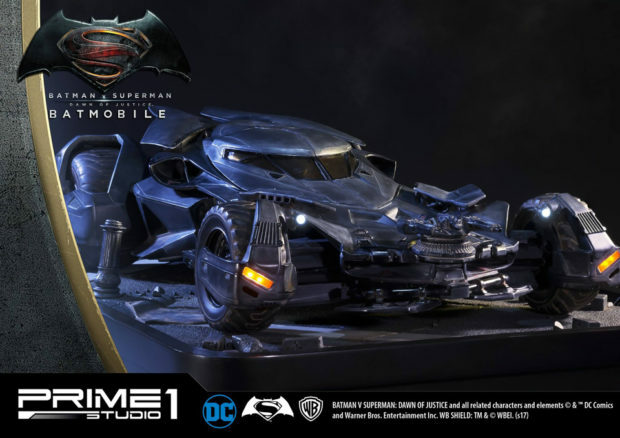 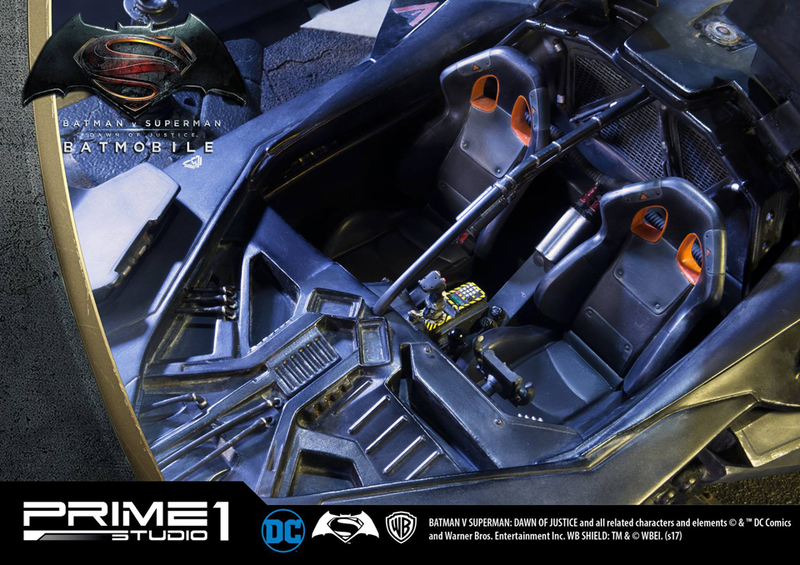 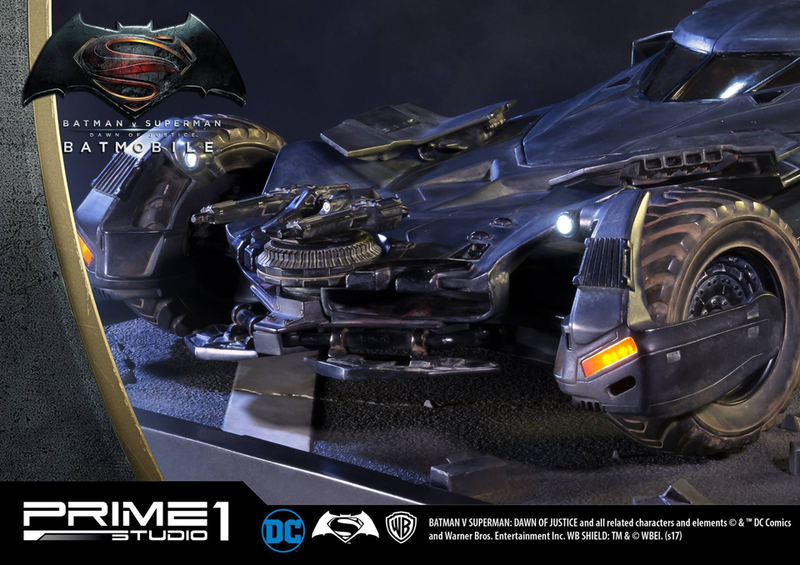 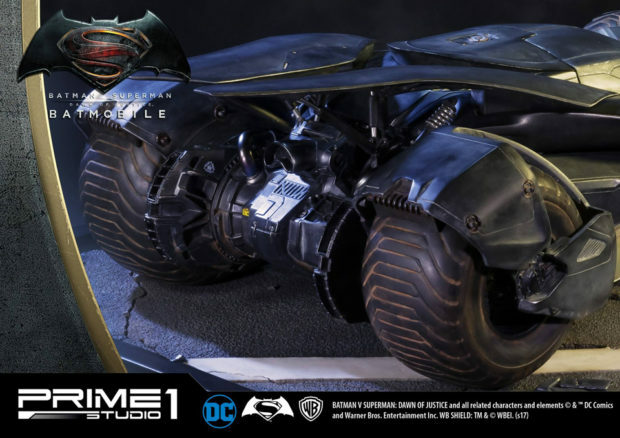 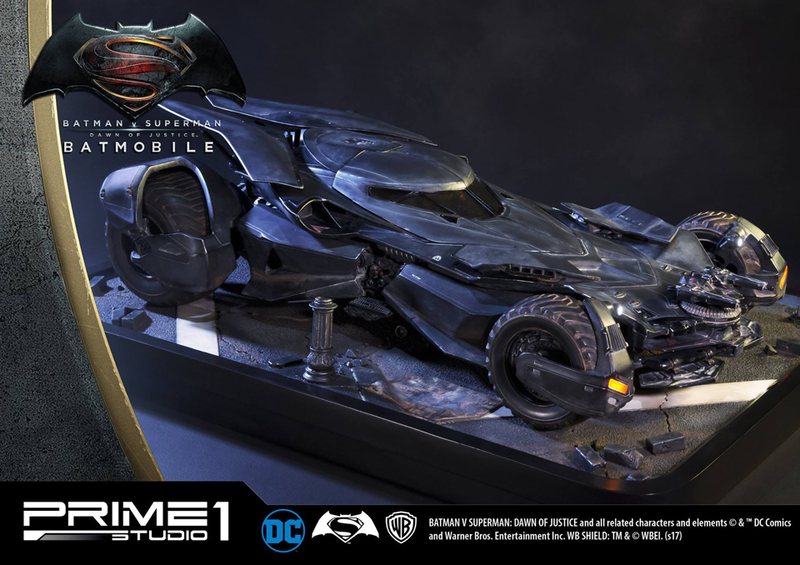 Make some room in your miniature Batcave, because Prime 1 Studio’s diorama statue of the Batmobile from Batman v Superman: Dawn of Justice is here. Based on this collectible’s dimensions –9.5″x 19″x 27.8″ at 1:10 scale – this variant of the Batmobile is indeed like a pancake, squat but long. Like the Arkham Knight Batmobile, this statue is made from polystone and has remote-controlled LED lights. What makes it much better than the Arkham Knight Batmobile is that its bat-ear hatch can be opened to reveal its interior. 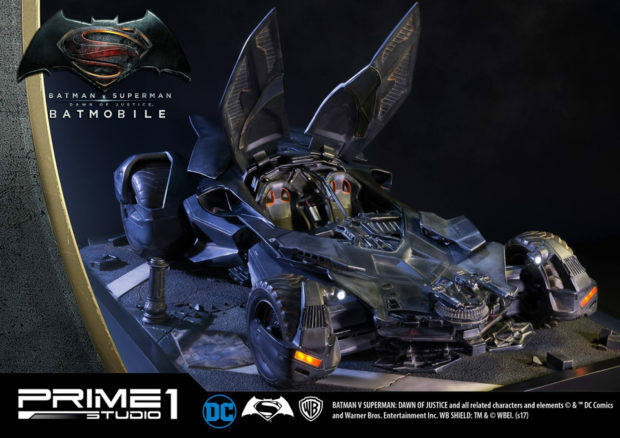 I really like how the car looks with the hatch opened. You can pre-order the Batman v Superman The Batmobile from Sideshow Collectibles for $1500 (USD).